ODA N，NISHIMURA S. Vibration of air suspension bogie and their design[J]. Bulletin of JSME，1970，13(55)：43-50. KRETTEK O ， GRAJNERT J. Vorgehensweise und Problemebei der Berechnung von LuftfederkennungenfürasymmetrischeBelastungen[J]. ZEV-Glass Ann ， 1994，118(11-12)：512-522. KRETTEK O，GRAJNERT J. Approach and problems in calculating air spring characteristics for asymmetrical loads[J]. ZEV-Glass Ann，1994，118(11-12)：512-522. QUAGLIA G，SORLI M. Air suspension dimensionless analysis and design procedure[J]. Vehicle System Dynamics，2001，35(6)：443-475. NIETO A J，MORALES A L，GONZALEZ A，et al. An analytical model of pneumatic suspensions based on an experimental characterization[J]. Journal of Sound and Vibration，2008，313(1-2)：290-307. DOCQUIER N，FISETTE P，JEANMART H. Multiphysic modelling of railway vehicles equipped with pneumatic suspensions[J]. Vehicle System Dynamics，2007，45(6)：505-524. DOCQUIER N ， FISETTE P ， JEANMART H. Model-based evaluation of railway pneumatic suspensions[J]. Vehicle System Dynamics ， 2008 ，46(Suppl.)：481-493. FACCHINETTI A，MAZZOLA L，ALFI S ， et al. Mathematical modelling of the secondary airspring suspension in railway vehicles and its effect on safety and ride comfort[J]. Vehicle System Dynamics ， 2010 ，48(Suppl.)：429-449. 孔軍. 空気弾簧在我国軌道車両中的応用與発展[J]. 鉄道車両，2002，40(3)：5-8. KONG Jun. Application and development of air spring for rail cars in our country[J]. Rolling Stock，2002，40(3)：5-8. 李芾，付茂海，黄運華. 空気弾簧動力学特性参数分析 [J]. 西南交通大学学報，2003，38(3)：276-281. LI Fu ， FU Maohai，HUANG Yunhua. 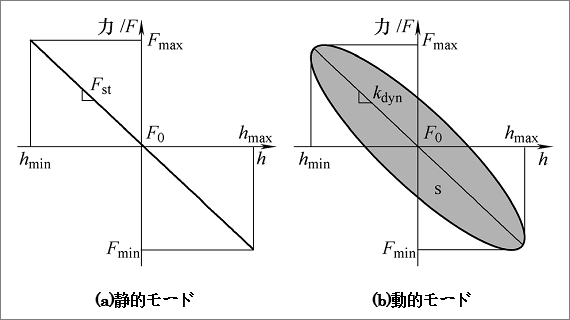 Analysis of dynamic characteristic parameter of air spring[J]. Journal of Southwest Jiaotong University，2003，38(3)：276-281. 原亮明，宮相太，王渊，等. 鉄道車両空気弾簧-可変節流閥垂向動態特性的研究[J]. 鉄道学報，2005，27(1)：40-44. YUAN Liangming，GONG Xiangtai，WANG Yuan，et al. Research on vertical dynamic character of airspring variable throttle system for railway vehicle[J]. Journal of the China Railway Society，2005，27(1)：40-44. 劉増華，李芾，傅茂海，等. 鉄道車両空気弾簧系統最優控制策略及方法研究[J]. 鉄道学報，2006，28(1)：26-30. LIU Zenghua，LI Fu，FU Maohai，et al. Study on the optimal control tactics and method about rail vehicle airspring systems[J]. Journal of the China Railway Society，2006，28(1)：26-30. 莫栄利，陳燦輝，陳文海，等. 軌道車両用空気弾簧阻尼特性研究與応用[J]. 鉄道機車車両，2010，30(2)：30-32. MO Rongli，CHEN Canhui，CHEN Wenhai，et al. 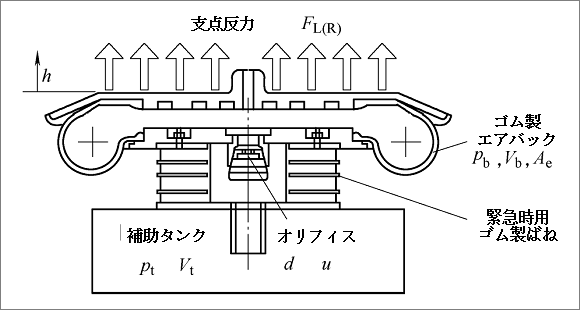 Research and application on the air spring damping of rail vehicle[J]. Railway Locomotive & Car，2010，30(2)：30-32. 李仲興，李美，郭継偉，等. 帯附加空気室空気弾簧性能試験系統的搭建與試験研究[J]. 機械工程学報，2012，48(4)：98-102. LI Zhongxing，LI Mei，GUO Jiwei，et al. Novel test platform and performance test study on air spring with auxiliary chamber[J]. Journal of Mechanical Engineering，2012，48(4)：98-102. CHELI F，CORRADI R. On rail vehicle vibrations induced by track unevenness：Analysis of the excitation mechanism[J]. Journal of Sound and Vibration，2011，330(15)：3744-3765. TOMIOKAA T，TAKIGAMIA T. Reduction of bending vibration in railway vehicle carbodies using carbody-bogie dynamic interaction[J]. Vehicle System Dynamics，2010，48(Suppl.)：467-486. 宮島，周勁松，孫文静，等. 基于格林函数法的鉄道車両弾性車体垂向振動分析[J]. 機械工程学報，2013，49(12)：116-122. GONG Dao，ZHOU Jinsong，SUN Wenjing，et al. Vertical vibration analysis of flexible car body for railway vehicle based on Green function[J]. Journal of Mechanical Engineering，2013，49(12)：116-122.